As I'm always reminding people: Critiquing games isn't an all-or-nothing deal. It's okay to hate aspects of a wonderful game or love aspects of an awful game. As long as you're not one of the poor sods who has to boil a game down to a single score, you're allowed to have nuance and you can pick and choose which parts of a game worked for you and which didn't. As someone who plays a lot of games, it's these "mixed" titles that sting the most. I can shrug and ignore a game that's mediocre, but it's a lot harder to dismiss a game with fantastic gameplay and some extremely annoying flaws. Batman: Arkham Knight is one of those games. 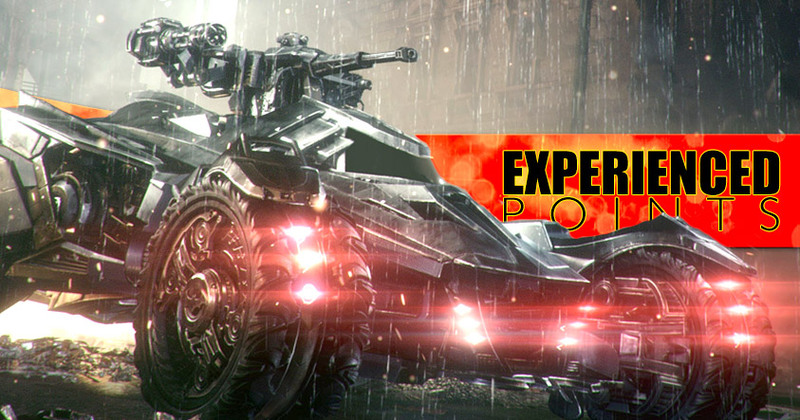 The Batmobile in Batman: Arkham Knight is a mess. It's a bad feature trapped in a good game, and it drags the entire experience down. It was a bad idea, badly implemented, and then over-hyped before release. 1. Arkham's Batmobile-Tank is thematically wrong for the character. Batman doesn't use guns. This is one of the central design elements of the character, just like "Batman doesn't kill." 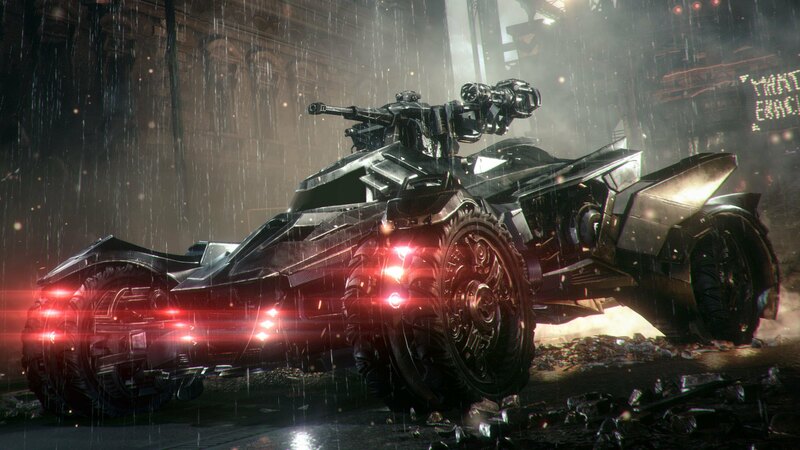 But in Arkham Knight they give us a Batmobile that transforms into a tank with turret, a mounted machine gun, and a missile launcher. This attempt to do an end-run around the rules of the character doesn't work. This doesn't look like a Batman device, it looks like one of Michael Bay's Transformers with Batman hubcaps. 2. The Batmobile makes Batman [look like] a killer. The opening cutscene of the very first Arkham game shows what we expect it to look like when Batman drives the Batmobile: Sleek, fast, and flawless. But because it's forced into combat situations, the Batmobile we get in Arkham Knight looks more like Death Race 2000. When you slam into pedestrians, they are "knocked out" by an electrical stun field as the car slams into them. The game pretends that tasering someone while running them over is somehow less lethal than just running them over, but it's hard to see that tumbling ragdoll as anything other than a corpse that will only be identifiable via DNA testing. Some of the vehicles you fight are unmanned drones, but some are driven by people. And when a dude in a car slams into a concrete wall at 80 miles an hour and goes flying through the air in a ball of fire and twisted metal, he is dead. 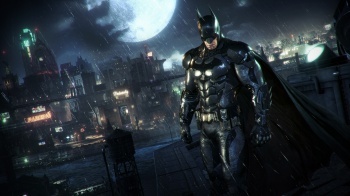 I don't care if Batman can scan him afterward and the game promises that he's just "unconscious". I know what a fatal car crash looks like, and Batman causes a lot of them in this game. 3. The Batmobile is much too destructive. The sheer scale of the destruction is shocking. Cars, buildings, and rioters get smashed by your rocket-powered wrecking ball, and it doesn't look like the kind of thing Batman would do in his fight against crime. In fact, if some other vigilante smashed up Gotham like this trying to fight crime, Batman would hunt them down and stop them. It looks absurd to have Batman cause all these millions of dollars in property damage tearing through the city he's sworn to protect. Yes, you can claim "he had no choice", but that's not what I'm complaining about. Like the Man of Steel movie, having our hero bash the crap out of the city he's trying to protect is thematically wrong, even if there's an excuse offered for it in the story. 4. Tank fights feel long because they have no sense of progression. In the wonderful Arkham brawling mechanics, you can get a feel for how the fight is going. You start off in a room full of guys, and the crowd gradually thins out as you work. In the tank fights, you have no such visual cue. You're fighting (say) five tanks at once, and those tanks will always be quickly replaced until the enemy runs out of reinforcements. The last wave feels exactly like the first, and you don't feel like you're getting anywhere.